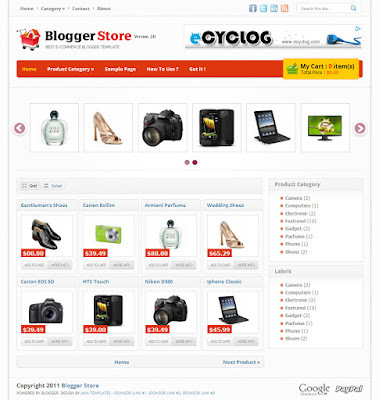 This is Blogger Store v.2 the best blogger templates 2012 ever made. Comes with more elegant, simple and fresh fresh design. Its beauty can you see in the background pattern on the body and main content combined with appropriate background color. 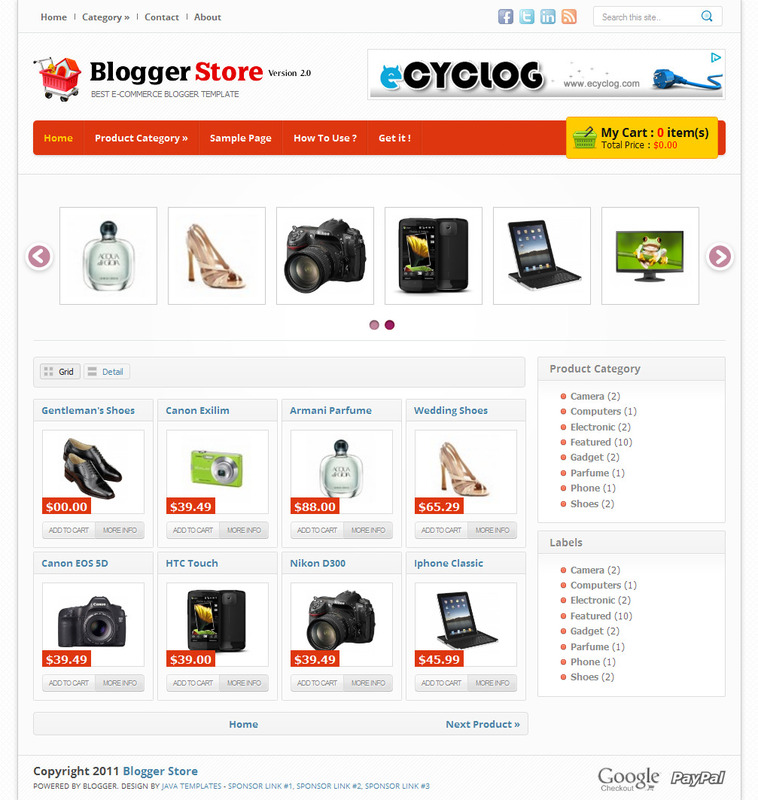 What the features of Blogger Store v2 ? I added some new features that do not exist in previous versions, and here the features you can find on this template. This template still using SimpleCart.js v.2.2.2 by The Wojo Group as ShoppingCart framework. Since I did some editing on this script, now you can using Indonesian Rupiah (IDR) for the currency. But it’s just a fake because Indonesian Rupiah currently not listed on Paypal. 3. Automatic Featured Content with jQuery Carousel Fred. As my framework i always using automatic methode for all of my template. and specially for Blogger Store v2.0 I’m using Automatic featured content from jQuery Crausel Fred v.4.5.2, this is automaticly work to displaying product by label or recent product also can display from another source, just need a several setting. 4. Grid and List Style post integrated with jQuery Plugin. I hope you like this template..